There are a number of plants grown in the home that require varying light intensities. Those with high light requirements are the topic of this article. Some examples of plants that need a lot of light are below. These plants would do best in a south or west window and direct light most of the day. 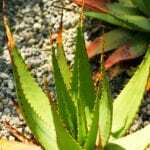 Aloe – Aloe vera (Aloe barbadensis) has long succulent spikes that grow from the center of the plant. The gel inside the leaves is used to relieve minor skin irritations and burns. 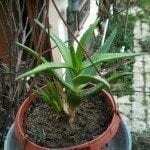 This plant grows slowly and is undemanding of temperature and water. You can divide it up and pot it for new plants like the mother-in-law’s tongue. Coleus – The coleus is traditionally an outdoor plant and enjoys shady summer gardens. Coleus has colorful foliage in reds, yellows and oranges. You can take these plants out of your garden at the end of the season and plant them in pots to bring inside, where they just need high humidity and evenly moist soil until winter when they require less water. Meyer lemon – Meyer lemon trees produce glossy leaves and fragrant flowers. Indoors, it probably won’t fruit. It likes the soil evenly moist and an average to cool temperature. This is a plant you don’t want to repot often. Polka dot plant – Finally, there is the Polka-dot plant (Hypoestes phyllostachya). 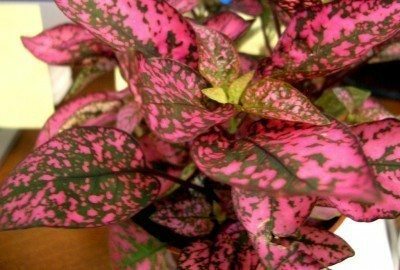 This plant is a perky one with dark green leaves speckled with pink. It grows fast and likes average temperatures and evenly moist soil. Cut it back to keep the plant small and bushy.